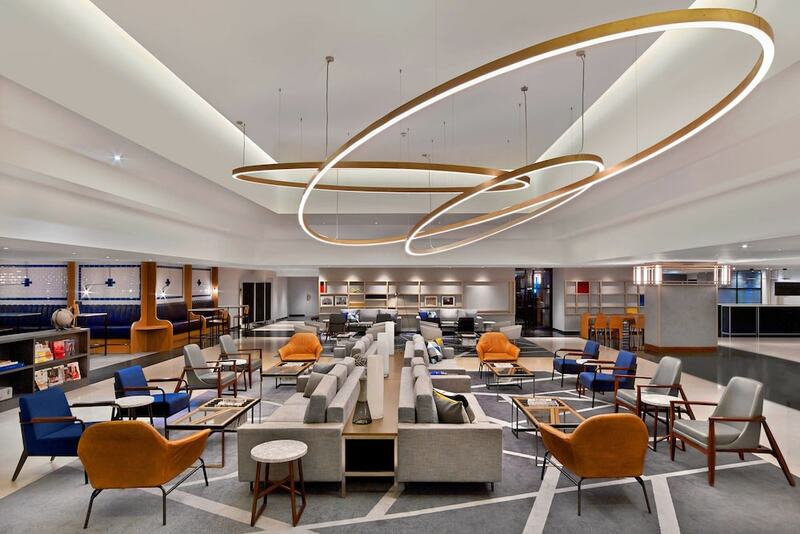 With a stay at Le Meridien Etoile, you'll be centrally located in Paris, within a 5-minute walk of Bois de Boulogne and Palais des Congres de Paris. This 4-star hotel is 0.6 mi (1 km) from Rue du Faubourg Saint-Honore and 1.1 mi (1.7 km) from Champs-Elysees. Make yourself at home in one of the 1025 individually decorated guestrooms, featuring minibars and flat-screen televisions. Complimentary wireless Internet access is available to keep you connected. Private bathrooms with showers feature complimentary toiletries and hair dryers. Conveniences include phones, as well as safes and desks. Be sure to enjoy recreational amenities including a nightclub and a 24-hour health club. This hotel also features complimentary wireless Internet access, concierge services, and babysitting/childcare (surcharge). Satisfy your appetite for lunch or dinner at Ma ChÃ¨re & Tendre, a restaurant which specializes in international cuisine, or stay in and take advantage of the 24-hour room service. Quench your thirst with your favorite drink at the bar/lounge. Buffet breakfasts are available daily from 6:30 AM to 11:00 AM for a fee. Featured amenities include a business center, express check-in, and express check-out. Planning an event in Paris? This hotel has facilities measuring 9149 square feet (850 square meters), including conference space. Self parking (subject to charges) is available onsite.